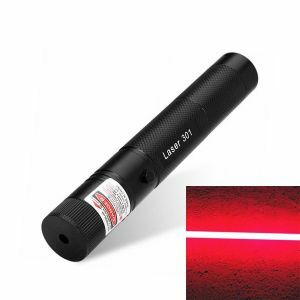 The Lucinda series are entry-level burning laser pointers(200mW). They are good for starters. 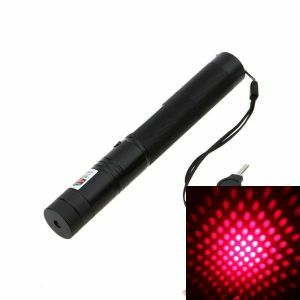 If you are an advanced user, you may find our Real 1W-5W handheld burning laser pointers are better options. 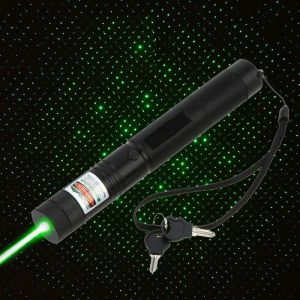 Note: this is a violet laser(405nm), the laser beam is not as bright as the Luciana Green Laser Pointers and Lucinda Red Laser Pointers. 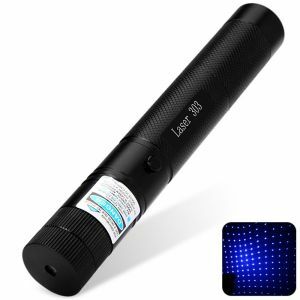 This is a 200mW Blue(405nm Violet Purple) Laser Pointer with safety lock. It is able to ignite matches, pop balloons, engrave on plastics, and shoot off firecrackers. 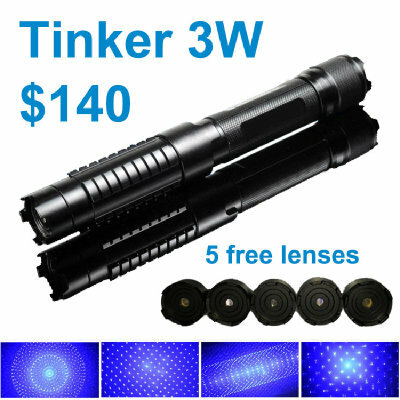 It can be powered by two 16340 batteries, or one 18650 battery, or one 16340 battery when shortened. 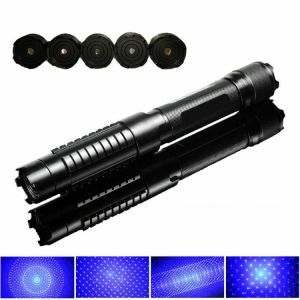 The Laser beam focus is adjustable, and the lens is non-interchangeable. Laser beam distance is greater than 2000m / 1.24 miles. 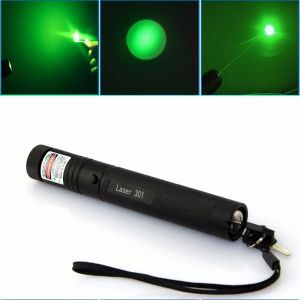 This is not a cat laser, do not play with your cats or dogs.